Áine Heslin flute with Matt Heslin accompanying on guitar. Áine Heslin is a flute-player/composer of traditional Irish music living and working in Co. Clare, Ireland. She performs regularly with her husband, Matt who plays guitar and sings. She has composed over 120 tunes since 2011 and recorded and released an album of twenty three of these called ‘The Tunes Foundry’ in 2014. Most of the fine photography on ‘The Tunes Foundry’ album and also this website is by a fellow-musician/photographer, Patrick Keating from Co. Clare. Her focus in 2018 was the production of a new album of compositions (The Tunes Foundry 2) and also a Tune-book comprising many of the tunes from both albums – up to 50 new tunes – both now available in the Shop page! The new album will be made up of tracks each with an individual tune, making them easier to learn so it could be an invaluable tool for teachers as well as musicians who are looking for something new for sessions, recordings or competitions. 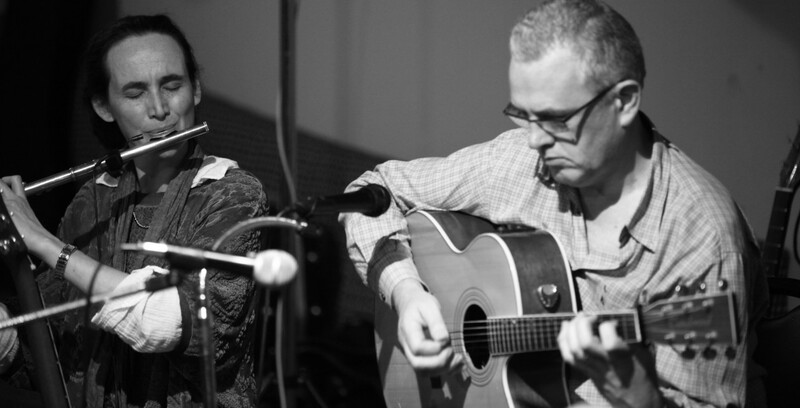 Walking the Dog/A Tribute to Michael Tubridy – first track on ‘The Tunes Foundry’ album on which Áine plays flute accompanied by Graham Dunne http://www.grahamdunnemusic.com/#!/guitar on guitar and Brian O’ Grady on Double Bass.